Story - 4: Justice League maintains its rating for another month. 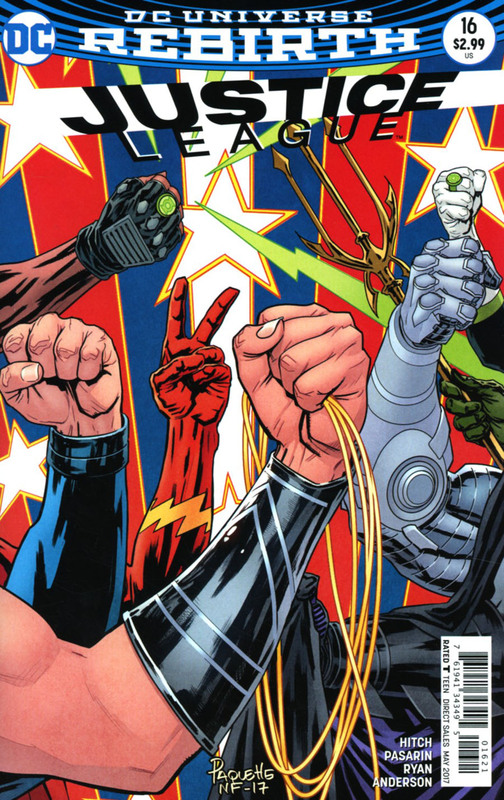 The story is solid, but that's mostly because it is a firm retread of Hitch's story for Justice League of America. The League being stuck in various time periods isn't a new concept; it's been done since Challenge of the Superfriends. The intriguing part is seeing the League, sans Batman and Superman, in what readers can concluded is their niche element. Aquaman in ancient Atlantis, Wonder Woman at the cusp of the Olympian's reign, Cyborg in the 30th century, it's a trip through not only time, but history, mythology, and the DC Universe itself. That raises the entertainment value, but it's also a reminder of how timeless Superman and the Batman are. 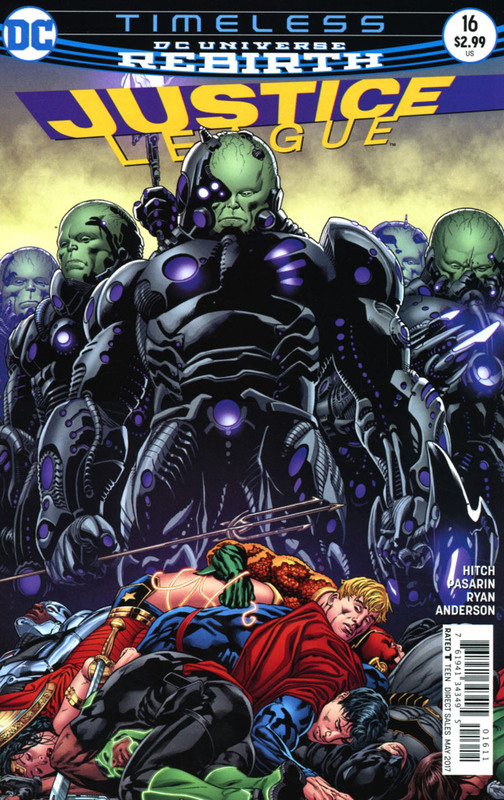 The aforementioned characters don't belong to any particular time period, as countless Elseworlds have shown. The Man of Tomorrow, and the avatar of the night, can merge into any epoch, hence them being with the Infinity Company as opposed to being stranded like the others. It's a good play of writing by Hitch, and a savvy approach, amidst a very, very ambitious storyline, that will either yield great reward or disappoint... greatly. There won't be any middle ground. I only read Justice League to see how Superman is used in ensembles. For the most part, Superman is severely reigned in to allow other characters some spotlight. However, stories like these always get my attention, as they are a reflection on not just what Superman means to the writer crafting the tale, but also to the DC Universe, proper. It remains to be seen if Superman will be of any true need to the story, or if he'll have the lackluster performance shown when he was at the Earth's Core, which was also under Hitch's pen. It'll happen just in time for Paddrig's, so hopefully, there's some luck about. Art - 4: The line work is growing on me, but Superman's cape is just too long. When it's the same length as Batman's, you know it's just too long. Cover Art - 3: Prosaic. Why are these no-names standing tall over the League? Let's see some action.